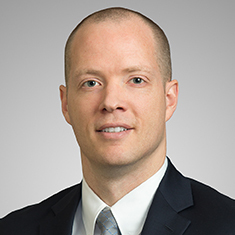 Aaron Pinegar is special counsel in the Transactional Tax Planning practice. Aaron has experience counseling clients on a wide variety of transactional and planning matters, including mergers and acquisitions, private equity transactions, spin-offs, debt and equity offerings, 1031 exchanges, partnership tax issues and unrelated business income tax. Aaron has also represented clients in controversy matters before the Internal Revenue Service. In addition to his federal income tax work, Aaron has significant experience advising clients on a variety of state and local tax issues involving virtually all types of taxes imposed by state and local jurisdictions, including corporate and personal income tax, franchise tax, sales and use tax, and property tax. In law school, Aaron was the notes editor for the Columbia Business Law Review. Shown below is a selection of Aaron’s engagements. Representation of a private investment firm in the $75 million acquisition of a luxury linens business. Representation of a private investment firm in the $270 million disposition of 100% of the equity interests of its portfolio company with a tax-free rollover for management. Representation of a private equity firm in the $40 million disposition of 100% of the equity interests of its portfolio company in the automotive industry with a tax-free rollover for management. Representation of a private investment firm in the $20 million acquisition of an equity stake in a packaging, manufacturing and distribution business in the food industry. Representation of a publicly traded owner/operator of digital commerce businesses in the spin-off of a distributed commerce network. Representation of a publicly traded multinational personal care corporation in the spin-off of a multibillion-dollar medical technology company. Representation of a publicly traded petroleum and natural gas exploration and production company in the spin-off of an oilfield services provider. Representation of a publicly traded student loan corporation in the spin-off of a multibillion-dollar leading provider of asset management and business processing solutions for education, health care and government clients. Representation of a publicly traded midstream natural gas services company in an $11 billion merger with a major natural gas and propane company. Representation of a midstream natural gas services company in the $5.6 billion acquisition of an owner/manager of coal and natural resource properties and related assets, and midstream natural gas gathering and processing businesses. Representation of a provider of property management software and rental housing management solutions in the $300 million acquisition of a revenue management solution that empowers optimized pricing for more than 1.5 million apartments. Representation of an independent energy company in its tax-free merger with a crude petroleum and natural gas company. Representation of an operator of gas stations and convenience stores in the disposition of a portfolio of 251 properties as part of a 1031 exchange. Representation of an energy company in its IPO with an "up-C" structure. Representation of the underwriters in the IPO of a leading manufacturer of pipe and precast products. Debtors’ counsel in the pre-negotiated chapter 11 bankruptcy of a private upstream energy company. Debtors’ counsel in the chapter 11 bankruptcy of seismic-services companies in the oil and gas industry. Representation of major oil and gas companies and real estate investment companies in preparing partnership agreements and limited liability company agreements for numerous joint ventures. Representation of a high-net-worth individual before IRS Exam and Appeals. Representation of numerous individuals in TEFRA proceedings before the US Tax Court.